I Sea You is a painting by Mikki Alhart which was uploaded on July 25th, 2016. 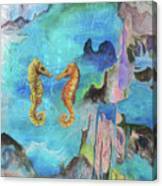 This whimsical fantasy includes one of my favorite images to paint, Sea Horses. 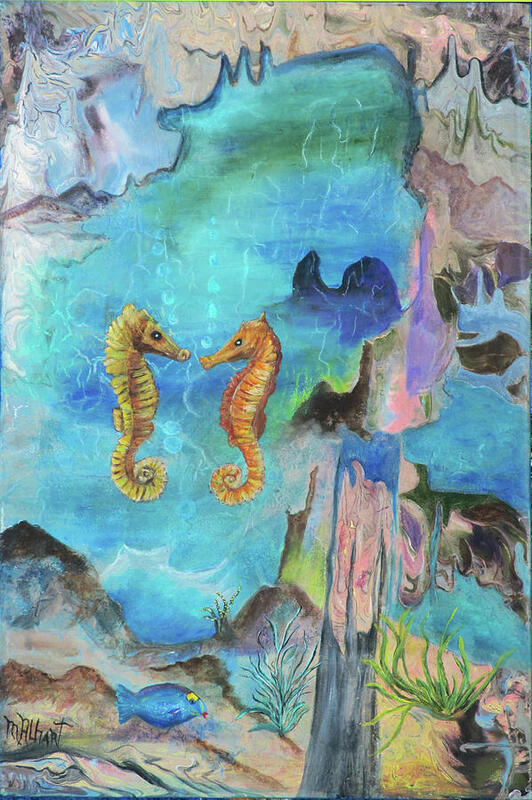 The sea horse is an amazing wonder in and of themselves. 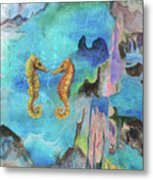 I used this abstract background as an under sea landscape. The patterns, colors and style literally created itself. 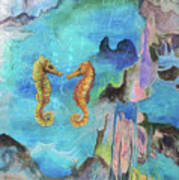 The expression of the sea horses looking at each other inspired the title. This painting is one of my personal favorites probably because my favorite all time sports is snorkeling all over the world. There are no comments for I Sea You. Click here to post the first comment.